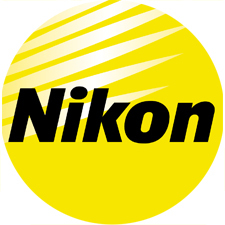 Visit Bergen County Camera this Saturday, May 9th from 10 AM until 4 PM to have all your questions answered by Nikon representatives. 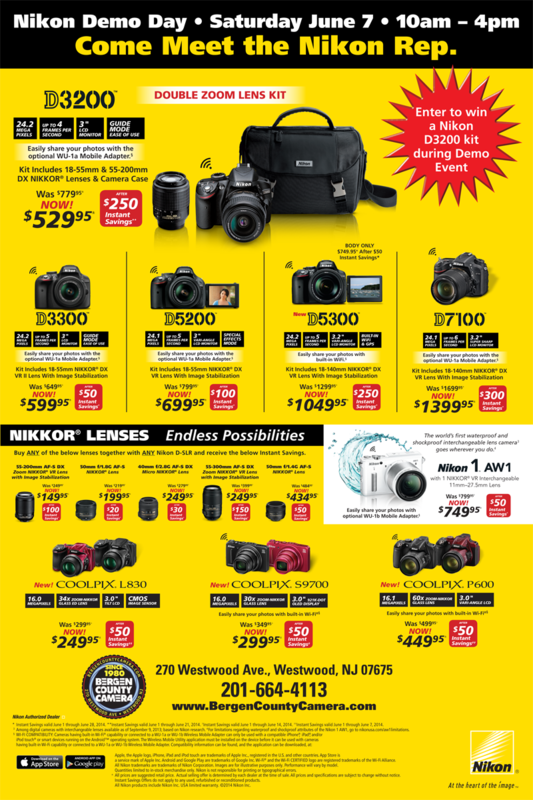 Learn all about how the latest Nikon cameras and lenses can improve your photography. No need to sign up. Join us this Saturday as Fuji representatives will be in the store for a Fuji Demo Day from 10 AM until 4 PM. 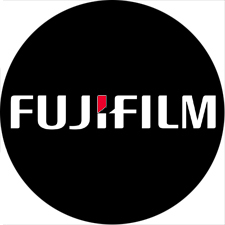 Have all your questions answered on the newest Fuji cameras and lenses. We’ll have our demo Fuji cameras available for you to try out. We’re excited to announce the schedule for Demo Days in December. 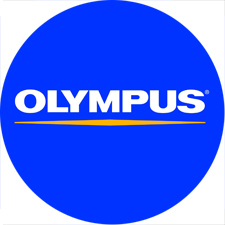 These vendors will have representatives in the store to answer your questions about their newest cameras, lenses, printers, and accessories. On Saturday, July 26, we’re holding a Super Summer Sale, so come by for great deals on used equipment, overstocks and display models! It’s also our Used Equipment Buy & Trade-In Day. We will be purchasing used equipment, too, so bring in your old items! In addition, vendor reps will be present for Vendor Demo Day. Come on in to have any of your questions answered, vendors participating will be announced shortly. 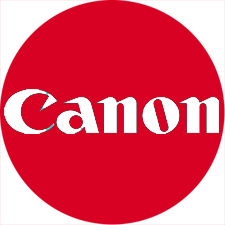 We’re excited to announce our upcoming Canon Printer Event. 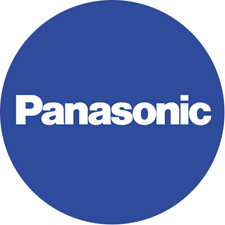 Stop by Bergen County Camera on Tuesday, April 29th from 6 pm until 8 pm with your favorite image and we will print and critique it for free. There will be giveaways and specials deals on Canon Printers. No sign up is required, just stop in. Prints are limited, so stop in early. Refreshments will be served. Join us for a multi-brand demo day on Saturday, May 3rd from 10 am – 4 pm at our Westwood location. This is a perfect opportunity to get all your Mother’s Day shopping questions answered. 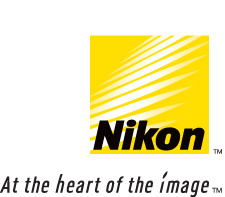 We’ll have vendor reps on hand from Nikon, Canon, Fuji and Manfrotto to answer all of your questions. Rebates, specials, and giveaways will be available throughout the day. 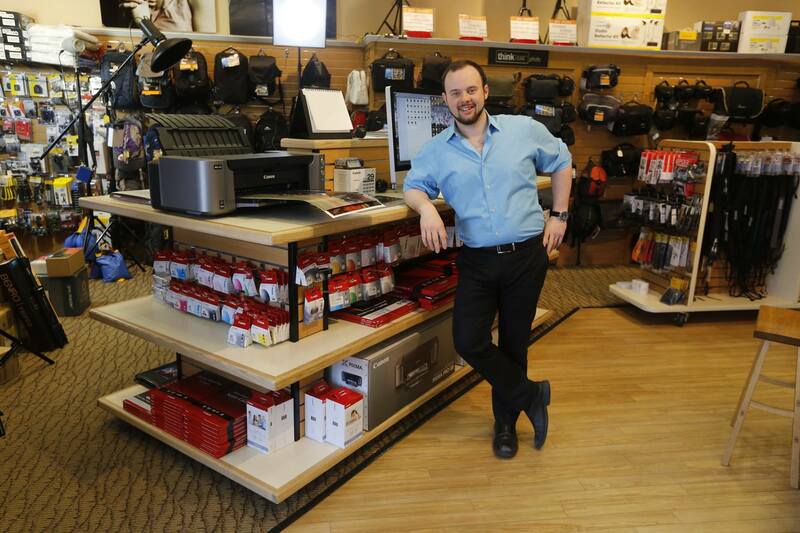 Manfrotto will be offering 10% on Saturday May 3, 2014. Start your day off at Bergen County Camera with our Free Focus Session – Outdoor Portraits – at the store at 9:30 am – Everyone is welcome! 20% Off Shoebox Scanning – Fill one of our shoeboxes filled with your old photos and we will digitize your photos for you. 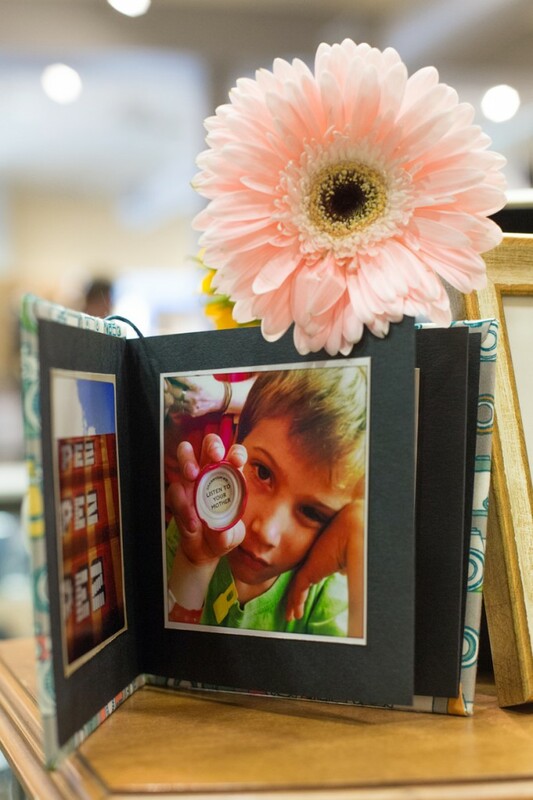 Rag & Bone Accordion or Instabook photo books – Purchase an accordion photo book and receive prints to fill the book at half price. Featuring a Raffle for a Free Fuji Instax 25 Camera and Pack of Fuji Instax Film! All sales are limited time only and limited to stock on hand. No rainchecks. We’re excited to announce our upcoming Leica Demo Day and Leica X Vario Photo Walk on Saturday September 28, 2013 in Westwood. 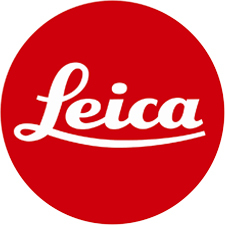 Our Leica Representative will be on hand to answer any questions and demonstrate Leica’s latest cameras. The X Vario Photo Walk will allow you to try one of Leica’s newest cameras as we traverse Westwood. We’re excited to get the camera into your hands so you can feel the absolute quality of a Leica camera. Read more about the event and sign up for the photo walk at Leicaexperts.com.